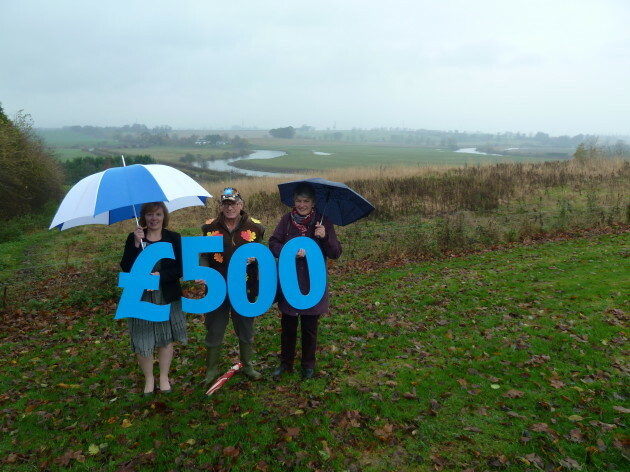 A project to develop an area of woodland as a unique educational, leisure and environmental amenity for the Coupar Angus community has received a kick-start from the Scotmid Community Grant fund. The Coupar Angus Community Woodland project, which is formally constituted under Forward Coupar Angus, has been founded to develop the town’s Butterybank field, next to the cemetery. Up until five years ago the field was used as grazing but has since fallen into disuse. The proposed woodland, which is still in planning stages, will include a path network within indigenous shrubs and trees. The project has a proposed budget of £8,000. The grant of £500 from Scotmid’s North Regional Committee is the first donation to assist in getting the project off the ground. Photo shows Scotmid Coupar Angus Manager, Sheila Townsley; Rev Dr Iain Bentley, Coupar Angus Community Woodland Convenor and Sheila Downie, Scotmid North Regional Committee Member at the community woodland site.